Newcomer Ranbir Kapoor price for a movie has gone up to a whopping Rs 12 crore. 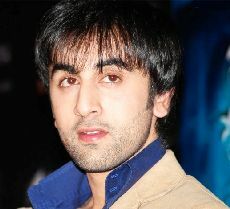 Ranbir has been signed in a film to be directed by Imtiaz Ali. Ranbir started in Saawariya for Rs 50 lakh, but after many good releases like Wake up Sid (2009) and Ajab Prem Ki Ghazab Kahani (APKGK) (2009) his price has gone up. The actors upcoming release will be Rocket Singh Salesman Of The Year (2009) .